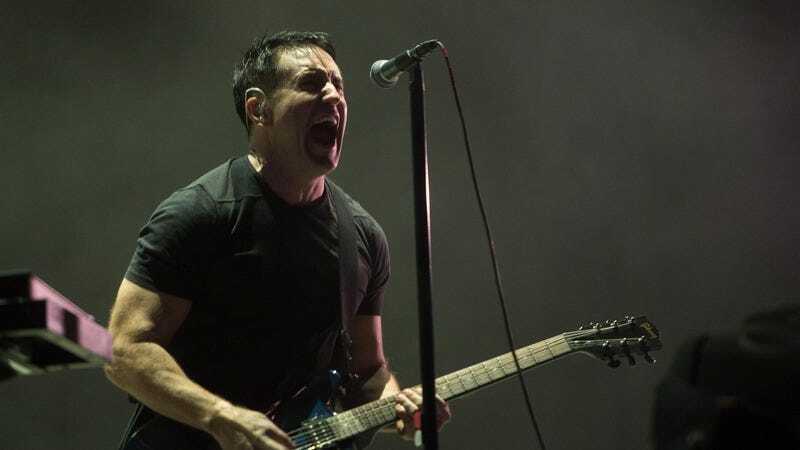 Last year, just as Nine Inch Nails was releasing its Not The Actual Events EP, Trent Reznor teased that the band would be releasing more music in 2017. As it turns out, the plan is actually a bit more elaborate than to simply release more music, with Reznor now revealing in an email newsletter that Not The Actual Events is really the first part of a new trilogy of Nine Inch Nails EPs. This comes from Rolling Stone, which reports that Reznor says he’s planning to release these new EPs “about 6-8 months apart” from each other. Rolling Stone figures that the follow-up to Not The Actual Events should be released at the end of July, then, but it could really be coming at any point between now and the end of August. Assuming Reznor sticks to this schedule, the final EP of the trilogy will then come near the end of the year (or early next year). Not The Actual Events was specifically billed as “unfriendly” and “fairly impenetrable” by Reznor, but at this point we don’t know if the rest of the trilogy will be similarly mean-spirited.